Columbia Harbour House - There is a lot of seating. 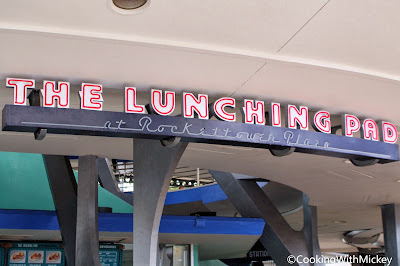 Cosmic Ray's Starlight Cafe - Tons of seating, both indoor and outdoor. 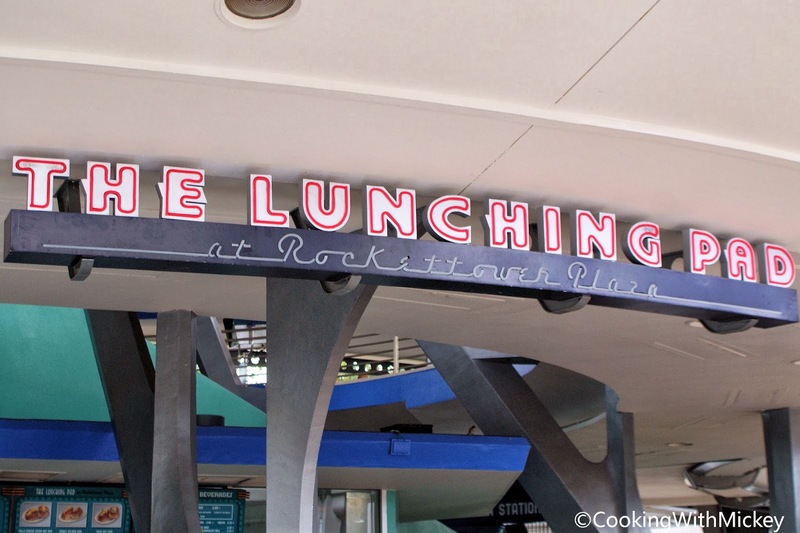 The Lunching Pad - It's often overlooked. Pecos Bill Tall Tale Inn and Cafe - An abundance of seating. Sunshine Seasons - There is a lot of seating. Liberty Inn - Seating indoor and outdoor available. Lotus Blossom Cafe - It's rarely busy. Restaurant Marrakesh - More often than not this restaurant has reservations available. Tutto Gusto Wine Cellar - It's first come, first serve so if you're willing to wait a bit, you'll get a table. Backlot Express - There is plenty of seating. The Sunset Ranch restaurants: Cantina Eddie's, Fairfax Fare and Rosie's All-American Cafe - There is plenty of seating in the area. Tune-In Lounge - This bar also serves the full menu from 50's Prime Time Cafe. There is bar seating only so it's great for adults but I wouldn't recommend it for families. 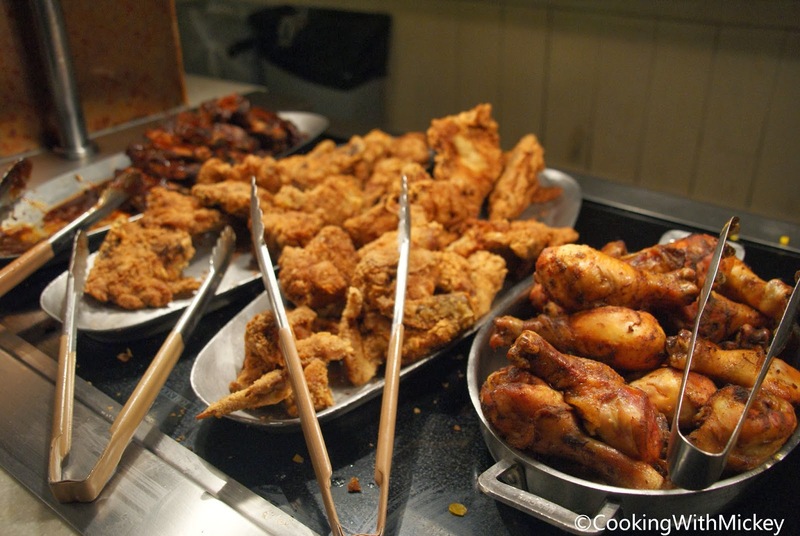 Flame Tree Barbecue - The counter may be busy but you'll definitely be able to get a seat! There is never a shortage of tables. Pizzafari - Indoor and outdoor seating area available. It's along the parade route so you may be able to watch the show from your table. Restaurantosaurus - This restaurant has several dining rooms inside and additional seating outside so there is no problem finding a table. 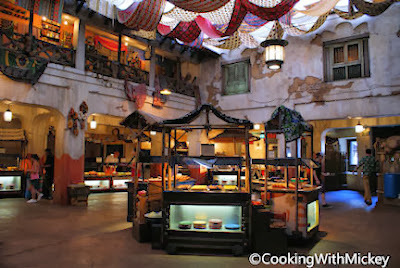 Tusker House Restaurant - Often you can get a dinner reservation, even when it's busy. So what's your favorite restaurant to dine at when it's crowded? We also found that Columbia Harbor House is one of the best spots when everything else is packed! 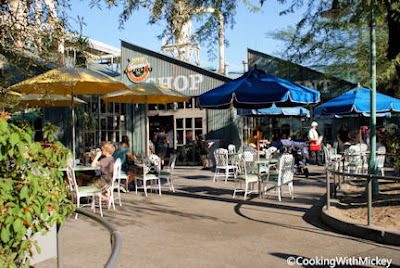 I think eating at the resorts when the parks are crowded is a great idea. Lots of great restaurant choices! You have some of our favorites on this list. Thank you for all these dining tips, Kristen. 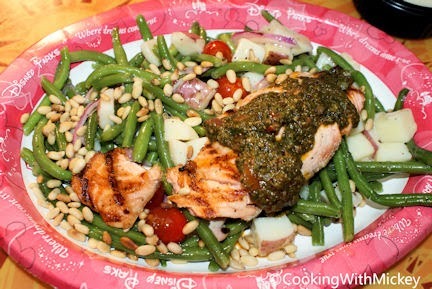 I love reading your posts because you always have an edge for 2 of my favorite things: Disney and food! I really enjoy the Grand Floridian Cafe. I have never had a meal there that I didn't really enjoy and it is beautiful! Awesome locations and great food at all of them. We also like to eat at off times during the busy days - lunch at 11 or how about a 2:30 Linner (between lunch and dinner) you can always find a seat during these odd times. Thanks for sharing your great list of foodie spots! I often head to the resorts for food - it's often so much better! Columbia Harbor House is wonderful!